Former Florida quarterback Will Grier, slated to be the starter at West Virginia, is eligible for Week 1. 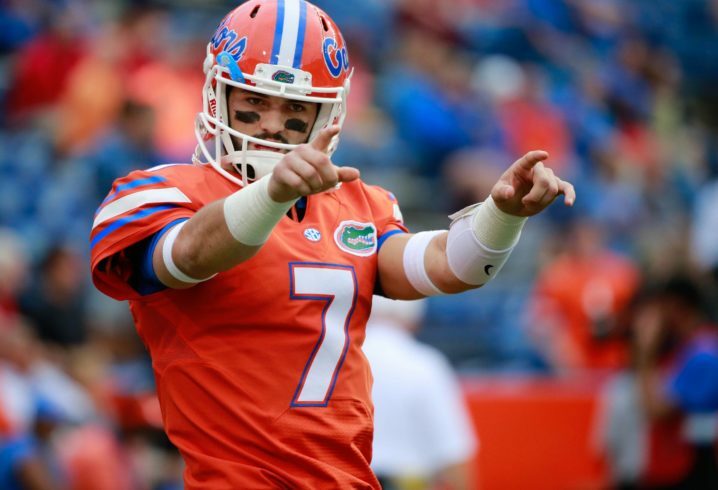 Six games into the 2015 campaign, Grier was atop the depth chart for the Gators and looked to be the program’s best QB since the legendary Tim Tebow departed in 2009. Grier was 6-0 and sported a TD-to-INT ratio of 10-to-3. But Grier got busted for performance-enhancing drugs and received a one-year suspension from the NCAA. 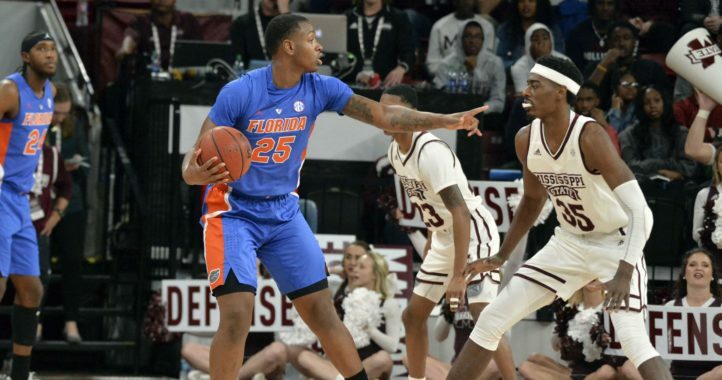 Upon making the switch to Treon Harris, UF lost four of its last eight — including blowouts at the hands of Florida State, Alabama and Michigan — and has floundered at the position ever since. Grier was the fifth of six consecutive starting signal callers to eventually transfer from Florida. The results have been mixed. After the NCAA decided to include the season he sat out as a transfer as part of his suspension, Grier is back from purgatory. Mountaineers coach Dana Holgorsen is one of the more pass-happy offensive minds in America, so look for Grier to take to the air early and often. Since Holgorsen came to Morgantown in 2011, his field generals have thrown it 37.8 times per game. In Gainesville, Grier only averaged 26.8 attempts per game for a team built around the dastardly defense left behind by former coach Will Muschamp. Playing in the wide-open Big 12, he’ll have an opportunity to put up big numbers and make his absence that much tougher to swallow for current coach Jim McElwain. The first was Jacoby Brissett, who enjoyed the kind of success at N.C. State that he never found with the Gators. A third-round pick of the New England Patriots in 2016, he already owns a Super Bowl ring. 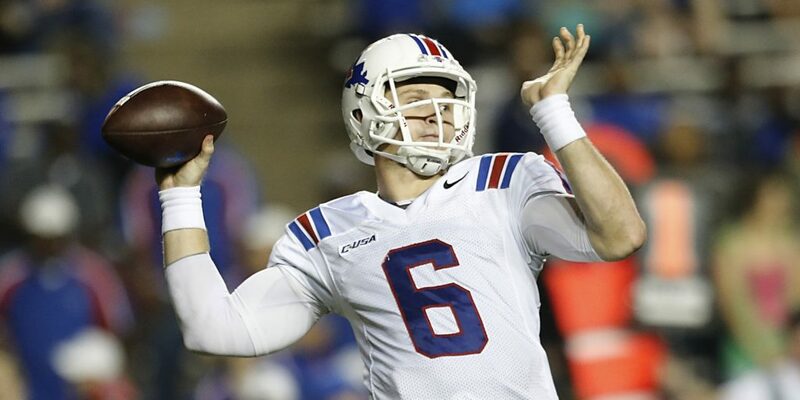 Signed in the same recruiting class as Brissett, Jeff Driskel (above) experienced some dizzying highs and cavernous lows at UF. But he left for Louisiana Tech in 2015, throwing for 4,033 yards and 27 touchdowns as a Bulldog. He was a sixth-rounder to the San Francisco 49ers and is presently third string for the Cincinnati Bengals. Tyler Murphy, not as talented as either Brissett or Driskel, wrapped up his eligibility as a senior at Boston College. Skyler Mornhinweg, who had even fewer physical tools to work with than Murphy, still managed to hit on 44-of-63 passes for Florida during the 2013 campaign. The team was 0-3 when he played, though. He bolted for Columbia. 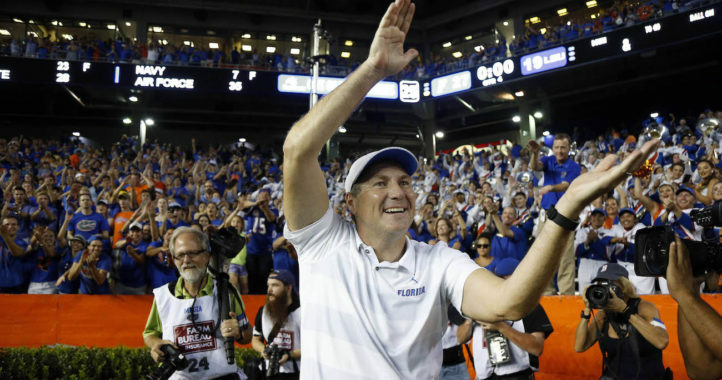 Harris, unquestionably the most heavily criticized of the one-time Gators mentioned above, eventually landed — it took him quite some time to make a decision — at Tennessee State. While Grier was a 65.8-percent passer in 2015, Harris could do no better than 50.6. He was also guilty of holding on to the ball too long in the pocket. Had Grier stuck it out last season, he could've rescued Florida come Week 9 since his suspension would've been complete. However, he had already left for WVU because McElwain allegedly refused to hold a spot for him as the starter. In 2016, UF started a pair of transfers in Luke Del Rio and Austin Appleby. Neither was overly impressive. Had Grier stuck it out last season, he could’ve rescued Florida come Week 9 since his suspension would’ve been complete. However, he had already left for WVU because McElwain allegedly refused to hold a spot for him as the starter. As a result, the biggest question for the Gators continues to be in the middle of the huddle. With Del Rio nursing a shoulder injury during spring practice — UF fans want to turn the page from him anyway — redshirt freshmen Feleipe Franks and Kyle Trask were engaged in battle. Franks emerged as the clear winner. 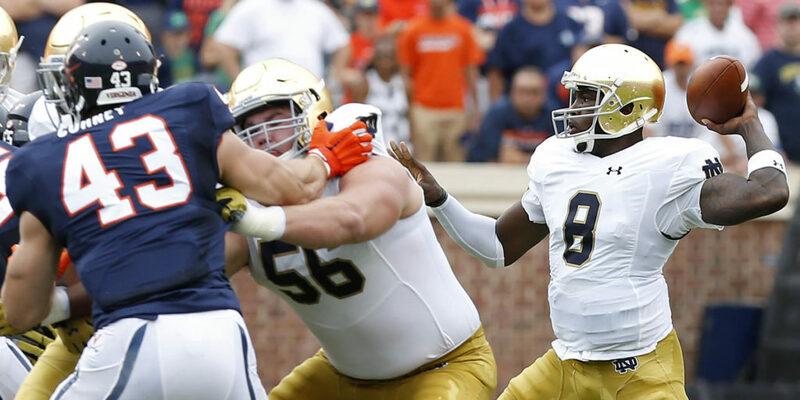 Nevertheless, the situation became a bit more complicated when Malik Zaire, formerly of Notre Dame, enrolled this week. McElwain would’ve been foolish to say no to Zaire (below), who was originally a 4-star recruit and flashed here and there with the Fighting Irish. At the very least, there’s no downside to having another option. That being said, Zaire isn’t a no-brainer choice to lead UF out of the tunnel in 2017. The last time we saw him in South Bend, he struggled mightily in the same system that allowed DeShone Kizer — the two of them shared snaps initially before Kizer took over full time — to throw for 26 TDs against only 9 INTs. Yet Zaire has fired live bullets at the collegiate level. Franks, who was also a 4-star signee, can’t say the same. If Florida supporters are subjected to the same level of poor quarterback play they’ve seen the last year and a half, it will be that much harder to watch Grier from a distance if he does light it up for the ‘Eers. One way or another, this is a good football team. Whether or not it can be great likely comes down to the trigger man. Even with the QB quandary, the Gators are coming off back-to-back division championships and have a legitimate chance to make it three in a row. Jordan Scarlett is a fine running back. The receiving corps — with or without Antonio Callaway — appears to be deeper. The offensive line should be able to plug some recent holes, too. We know the defense continues to be flooded with future pros, plus kicker Eddy Pineiro and Co. are sound on special teams. One way or another, this is a good football team. Whether or not it can be great likely comes down to who’s at the controls. Maybe Zaire is the answer after all. Perhaps Franks can live up to the potential he showed in high school. But if neither proves to be better than Del Rio or Appleby — just about anyone would be an upgrade over Harris — then there’s no reason to believe UF can be anything beyond a sacrificial lamb in the conference title game again. With the West so much stronger, winning the East means less by the year. And if Grier throws for 300 yards at West Virginia on a weekly basis, Florida may be forced to play “what if?” this year. I’m afraid this is one article that speaks the truth. Will the thrill was the real deal. Can’t say what McElwain had on him besides the suspension but he has the “it” factor behind center. If the offense was only over the counter PEDs, it might have been wise to keep this guy around. He didn’t leave because McElwain wouldn’t promise to hold his spot he left because McElwain forced him to do that humiliating press conference about his suspension. A coach should protect his players not throw em under the bus. I lost all respect for McElwain that day. Contrary to popular belief, a coach’s job is more than just wins and losses. Any good coach is investing in young men to help them mature and succeed in life as a whole. If more coaches allowed their players to actually be held accountable for their actions, maybe there would be less issues. Did I mention anything about wins and losses? No, I didn’t. Fair enough McElwain is a coach that holds his players accountable when they make mistakes. Marijuana is a banned substance. Why didn’t McElwain trot Calloway out to answer questions for the media when he was arrested for possession of marijuana while hanging out with a known felon and drug dealer? Why did McElwain continue and recruiting and later Sign Robinson after his drug arrest? Where is the accountability? Marijuana isn’t a performance enhancing drug. If Grier had been cited for it, he would have received a game or two suspension from Mac. The severity of the violation demanded a more serious reaction. That’s quite an attempt to defend Mac, and it’s also quite the stretch. You are basing your entire argument on NCAA penalties instead of looking at what actually took place. Calloway’s situation was much worse. More than one marijuana incident and he is getting stoned with a 40 year old criminal. That’s way worse than an over the counter purchase. I’m with McElwain on this one. He may be an absolute stud, but nothing can destroy a team faster than an A-hole in the locker room. Not saying he is, but him bolting because his starting position wasn’t being guaranteed is not a good sign. It’s just a lose-lose for the Gators. No program wants to live under that shadow for 3-4 years. Someone is bound to beat that drum during his time with WVU – but not to the same extreme he would have experienced at UF. As unfortunate as it is, it’s a divorce Florida is just going to have to live with. P.S. This sounds fairly Cam Newton-ish for Florida. Imagine if . . . I wasn’t aware six consecutive starting QBs had transferred. That is a stunning stat! That’s got be a record of some kind. Imagine if only one had been consistently good and stuck around . . .
Word is he had other drug issues besides PED’s…sniff, sniff. When Daddy demanded he be the starter upon return from suspension and McElwain said “no”, that’s why the transfer. Now that WG has a newborn baby, hopefully he’ll settle down.